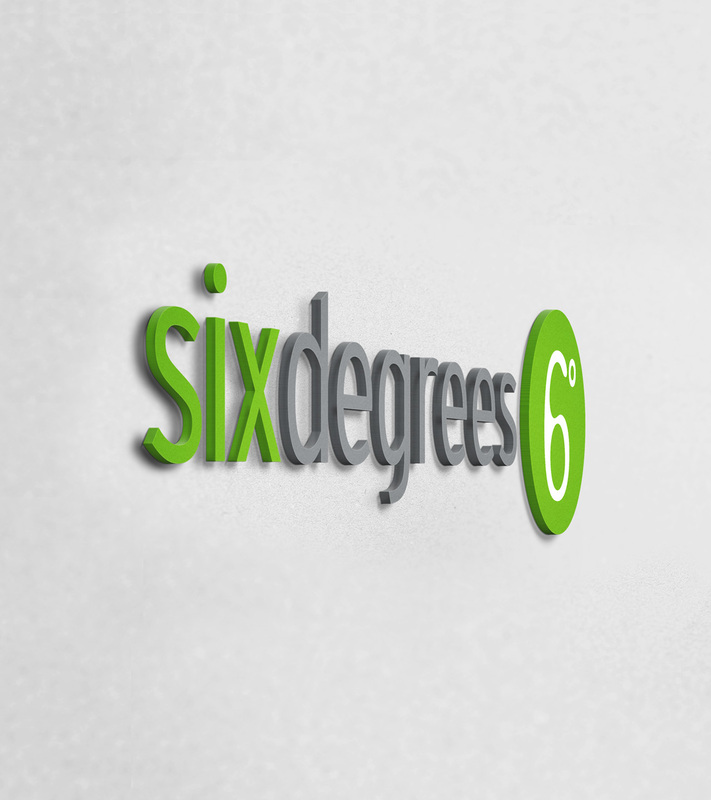 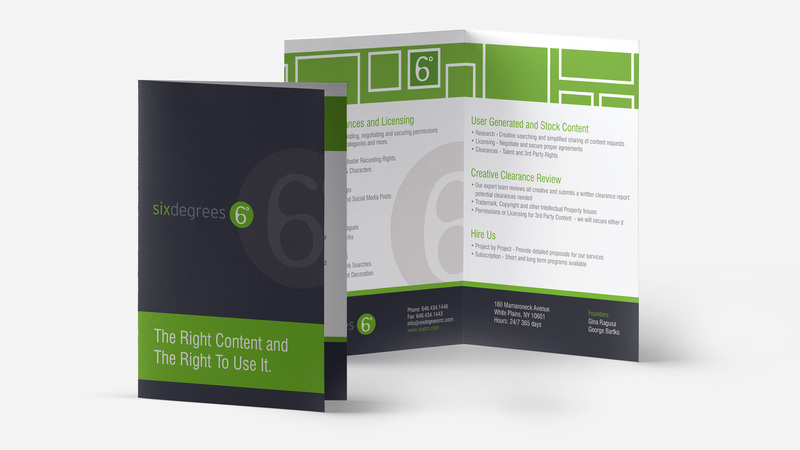 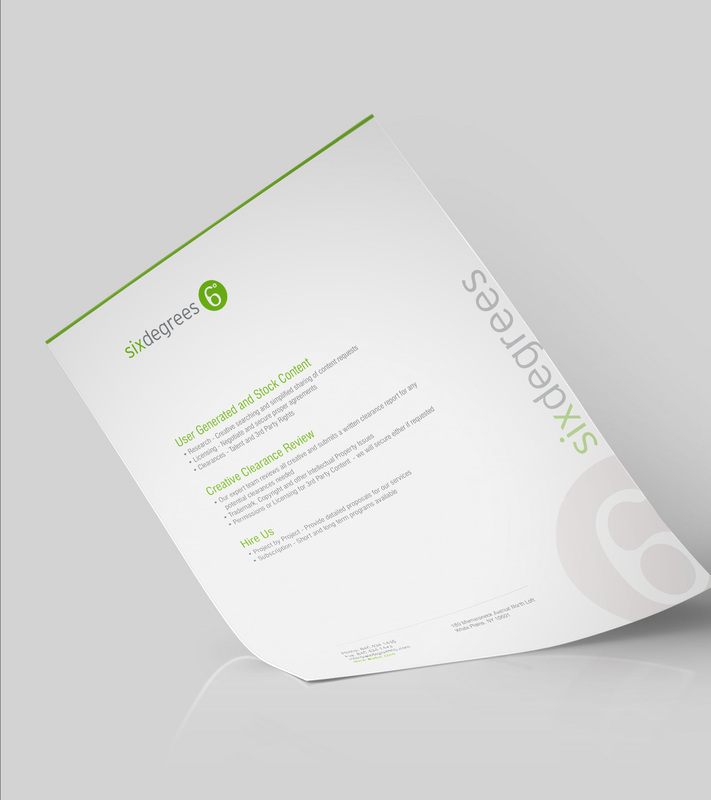 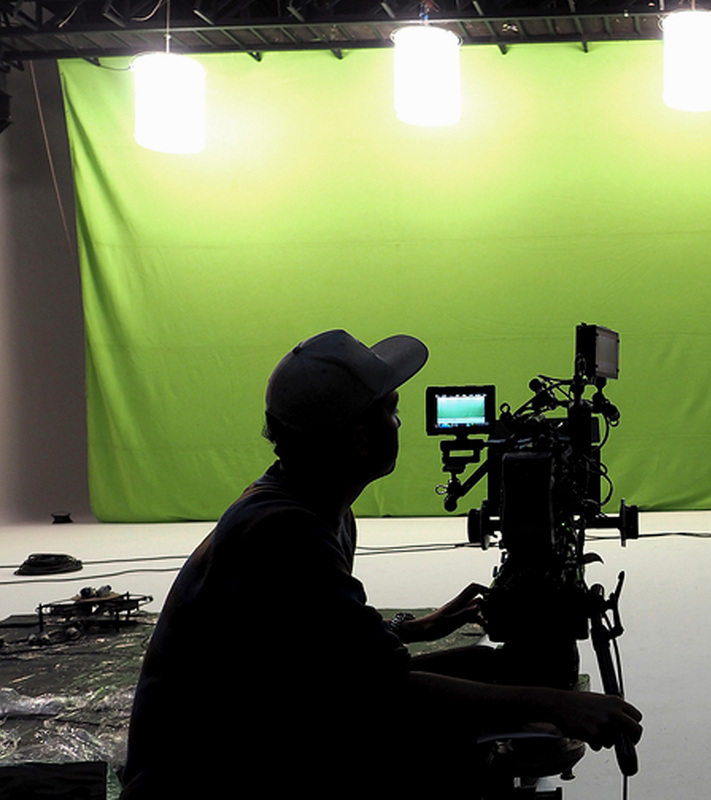 Six Degrees Research, Rights & Clearances provides rights and clearances services for music, talent, film/TV clips and other intellectual property as well as global research, sourcing and licensing of stock content utilized in advertising, corporate and entertainment projects. 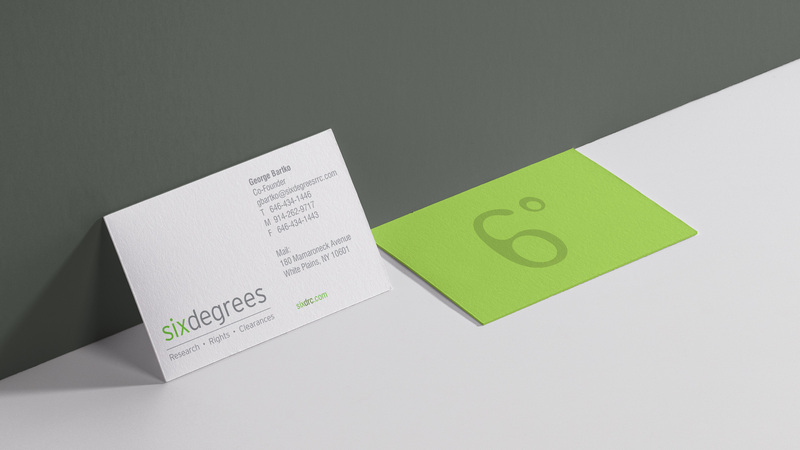 After getting a sense of the clients ambitions, the first step in revitalizing the brand was selecting a non-traditional color scheme, crafting the design elements around the companies core services with the intent of being bold, yet approachable. 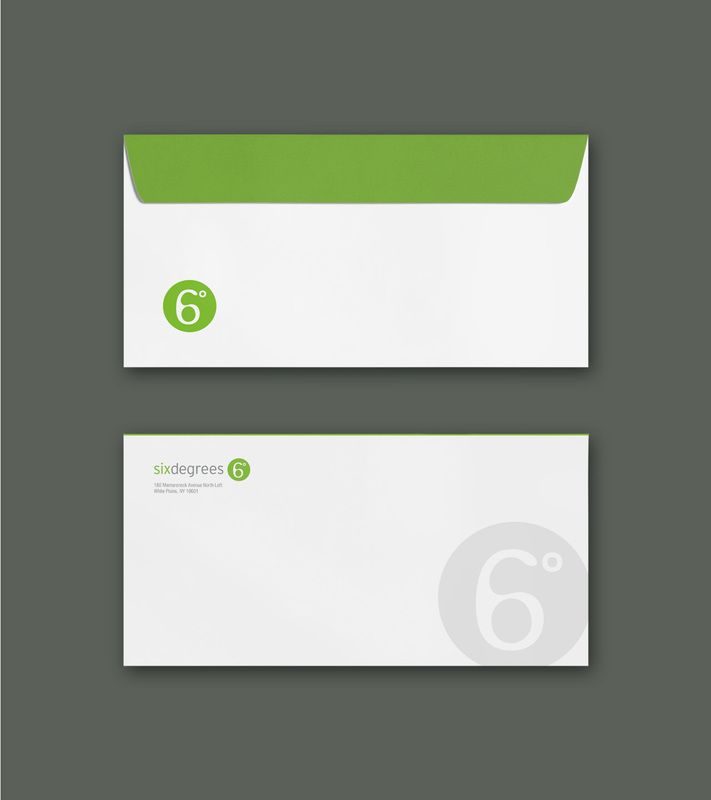 Printed marketing materials blend clean white with the sharp contrast of green and dark gray, giving Six Degrees a distinctive visual appeal within their industry, and reflective of the brands philosophy.